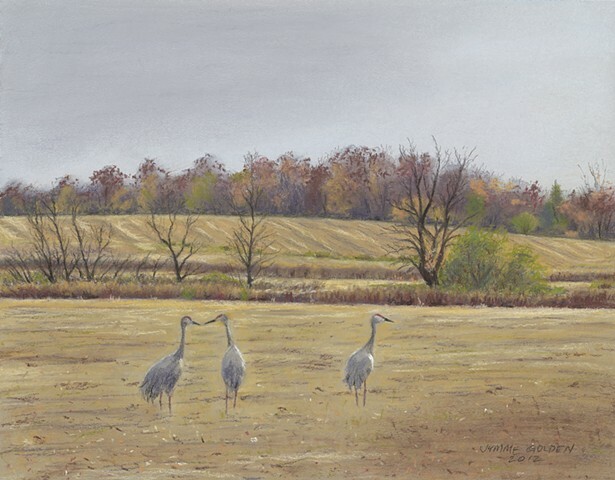 The thousands of sandhill cranes that spend time during fall migration at Crex Meadows, leave the safety of the wetlands every morning starting at sunrise and fly out to the farm fields in Grantsburg, WI to feed. They return to the wetlands at sunset. These 3 were among the thousands feeding early one morning.